I really like to read about Lamborghini and Ferrari models, like most car guys and gals I know I’ll never own one unless I hit the lottery. Lamborghini is set to unveil its Urus SUV that it has been talking about for years now. The Lamborghini Urus SUV will get the official unveil on December 4. The unveil event will be held Sant’Agata Bolognese, Italy. At that event we should get all the details on the Urus including pricing information. We already know a lot about the Urus thanks to tidbits that have surfaced, but these are unconfirmed at this point. The Urus is expected to pack a twin-turbo V8 making 650hp. A plug-in hybrid version is expected later. 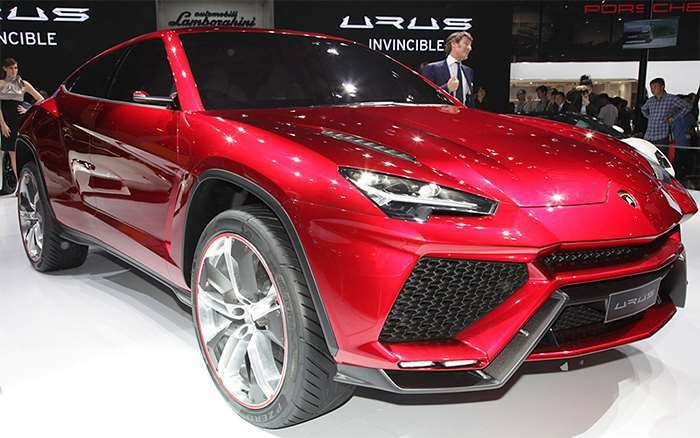 Lamborghini is expected to ride the SUV craze to twice as many units sold after the Urus launches with annual production of the SUV alone expected to be 3,500 units by 2019. We can wait to see the official specs.